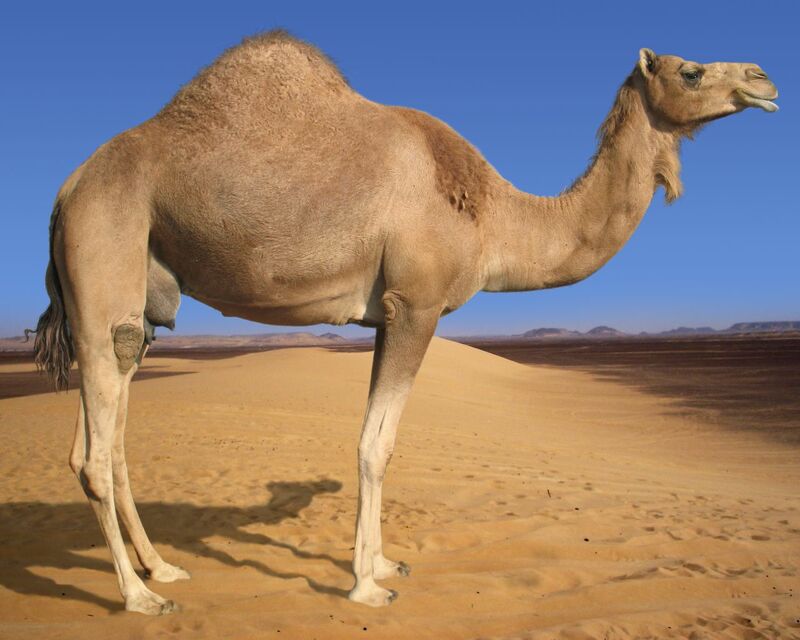 It was announced this week that archaeologists had made a major discovery concerning — camels. Using carbon dating techniques to determine the age of the oldest known camel bones, researchers determined that camels were introduced in Israel in the 9th century BCE — a dating that is at odds with Bible stories that point to the presence of camels at an earlier time. Some suggested that this new evidence, if correct, shows up a discrepancy between history as presented by the Bible and history as illuminated by scientific inquiry. The news led at least one commentator to ask if such a revelation would change one’s view of the Bible. My hope is that it will. For far too long now, the Bible has been treated as though it were a textbook that places a high value on accuracy. The reality is that the Bible is unconcerned with accuracy, at least when it comes to history. The biblical authors did not intend to provide what we would understand as an accurate, well-documented historical account. Their concern was not to present the facts! Rather, they were preoccupied with proclamation: their goal was to point to the relationship between God and humanity, between God and creation, and they told the stories of their traditions from that point of view. Their primary concern was to reveal the deeper meaning of things, not to accurately report what had happened. The biblical stories are very similar to the stories of our own lives. As human beings, we make sense and bring meaning to our lives through the stories we tell about ourselves. If, for example, you were to ask a relatively young person to tell you what her life was about, you would get a certain story about her life up to that point, and what that story meant in terms of who she understood herself to be. If, many years later, you asked the same question to the same person, you would get a story that was different in some important respects. Some of the details would be the same, but some of them would have shifted a bit, and you would likely get a different interpretation of what that person understood her life to be about, and the meaning she assigned to various aspects of it. It is not that the story she told when she was younger was untrue, whereas the story now is true (or vice versa). Rather, it’s that the woman’s perspective had changed over the years, and that perspective led to a change in how she interpreted her own life story. Any rich telling of any human being’s story is likely to be more heavily waited toward meaningful interpretation than it is toward factual accuracy. That is, in part, because human beings don’t tend to remember things exactly as they happened. Instead, we tend to remember things based on our interpretation of what they meant to us. We have a tendency to want to see the depth of things, and the more emotionally moving we find an event in our lives to be, the more that is the case. The biblical authors were really doing the same sort of thing. In most cases, they were using stories that had been passed down to them to illuminate their own experience of God, and doing so in the hope that these stories could connect with the stories of future human beings and help them (us!) to illuminate their own experiences of God. They were not concerned with whether the details were exactly correct (a rather modern preoccupation), but whether the depth and meaning connected to those details were being brought forward. They were interpreting their tradition, not attempting to reconstruct it accurately. It would, therefore, probably not at all disturb any of the biblical authors to learn that Abraham couldn’t possibly have owned any camels. They would probably find our fascination with that detail to be the best indicator that we had tragically missed their point.